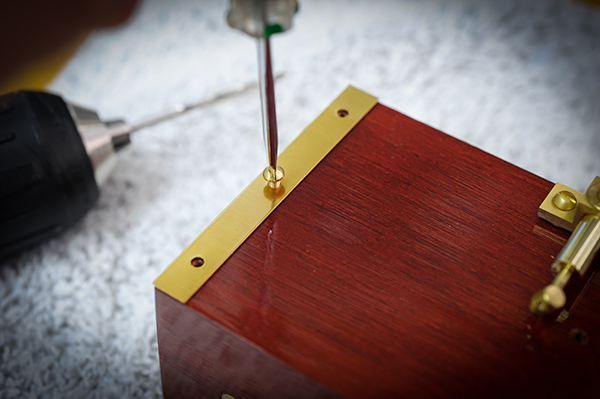 Use the edge protector as a guide, mark the position of the hole by a center punch. 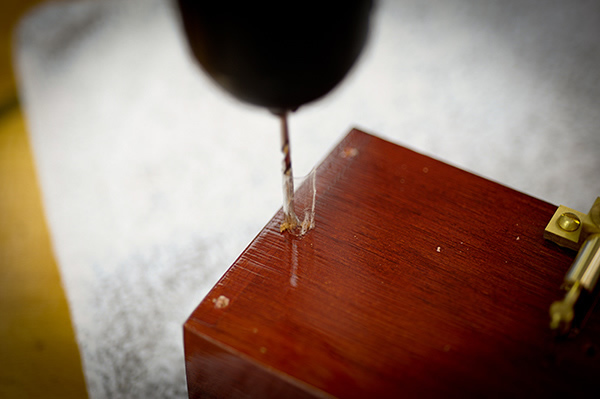 Mark the depth of 6.5mm to the drill bit with an adhesive tape, this can help not to drill through the wood. 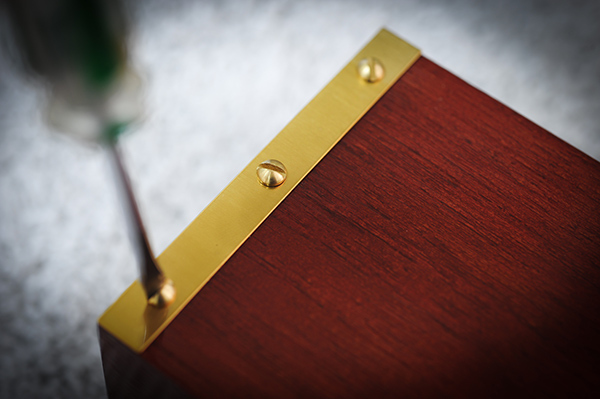 Install the screws that comes with the edge protector, do not over-tight the screw or it will damage the wood! 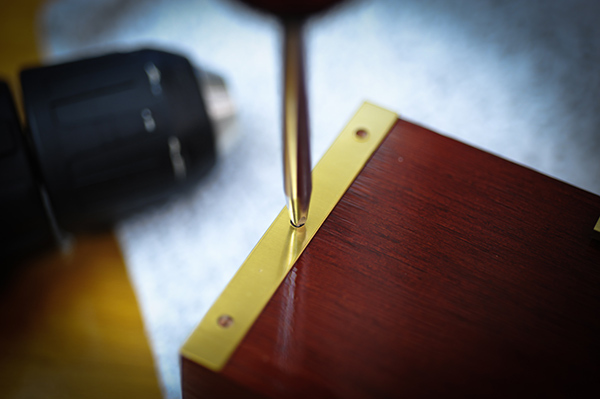 Do the same for the other side and the installation is finished. 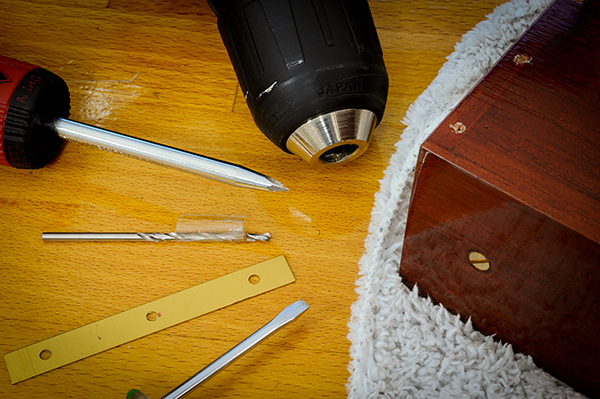 For Zero 2000 cameras, simply replace the new wooden shutter with your old one.